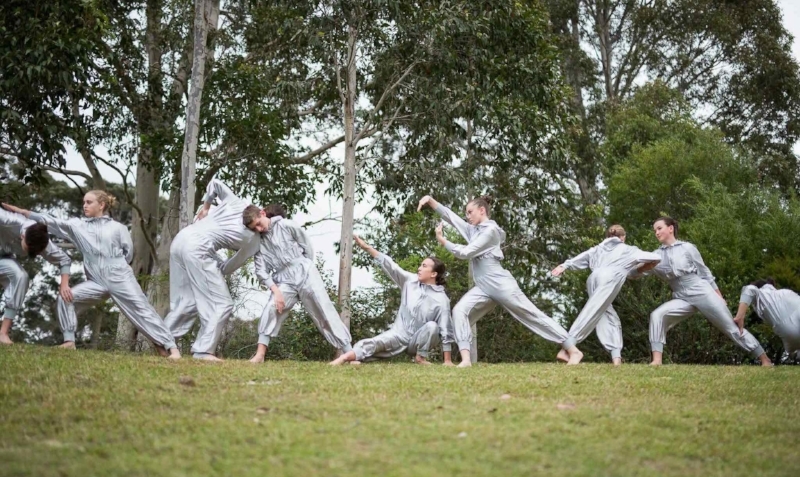 The FLING Company is a youth performance company for young people aged 14 to 18 from the Bega Valley region. The Company work in a supportive environment where creativity, innovation and playfulness is valued, whilst striving to become highly skilled performers, dancers and creators. After auditioning to join this annual program, the Company train together and develop original performance work which is presented locally, nationally and even sometimes internationally. Weekly training sessions are held in contemporary dance, ballet, improvisation, gymnastics and movement training. Additional rehearsal times and full-time rehearsals are programmed throughout the year during school holidays for our performance projects. A visiting artist program offers company performers the opportunity to work with professional artists to develop full length original production projects. Morning: yoga overlooking the Merimbula Lake. Coffee, gelato, breakfast, swim at the beach. Afternoon: dance from 12–7pm in a big versatile space. Hours spent: sweating, working, creating, moving, rocking, flipping, jumping, expanding, exploring, achieving. Night: BBQ dinner outside. Chilled night. We can accomodate 8-10 dancers with our FLING Company members and just ask for a small contribution towards meals. Whilst staying with FLING we want to help you immerse in nature and get a taste of the lifestyle here on the beautiful Sapphire Coast. Exploring some of the amazing natural wonders such as Wallagoot Lake, Wineglass Bay, Boulder Bay, Middle Beach, Bar Beach maybe even a fabulous sunset picnic on the point. Dancing in nature, town flash mob, camping at Araganu. Town Tour i.e. burgers at Dulcies, Cobargo, gelati & fish n chips in Bermi, Tilba Tilba lolly shop. Connecting with some of the First Nation dance groups in the region and moving together. Bush walks, surfing & dancing at the beach, dancing in paddocks, move, create, improvise, discover, play and make stuff together!